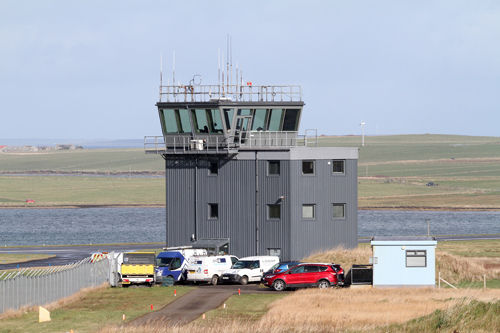 An investigation has been launched after a plane bound for Edinburgh departed Kirkwall Airport without air traffic control clearance. The incident occurred last Friday evening and involved a Saab 2000 aircraft with 33 passengers and three crew members onboard. The aircraft used “alternative procedures” available to them to allow the plane to depart, according to Loganair, who insist, along with the airport’s operators Highlands and Islands Airports Limited (HIAL) that safety was not compromised. The decision to press ahead without air traffic clearance comes as controllers take industrial action short of a strike in an ongoing pay dispute with HIAL — including a refusal of non-medical extensions, an overtime ban and withdrawal of goodwill. The flight was denied start-up clearance at 7.43pm as it would involve a controller to work over his shift, contravening “very strict” rest periods. HIAL safety teams, one of them believed to be fire service crews, was present, and while the airline admitted this was “unusual” safety assessments and legal provisions permit operating under these circumstances they claim. The Civil Aviation Authority (CAA) has been informed. The aircraft landed safely at Edinburgh airport later that evening.